As we move into secure complexes and boomed areas, garages are being used for more than just parking cars. 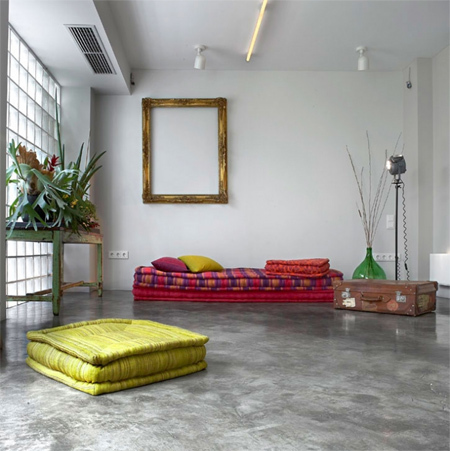 A single or double garage accounts for a large percentage of the total floor space in on a property, so it makes sense to take advantage of an empty garage and transform it into extra living space. Need extra space to add on a new kitchen? 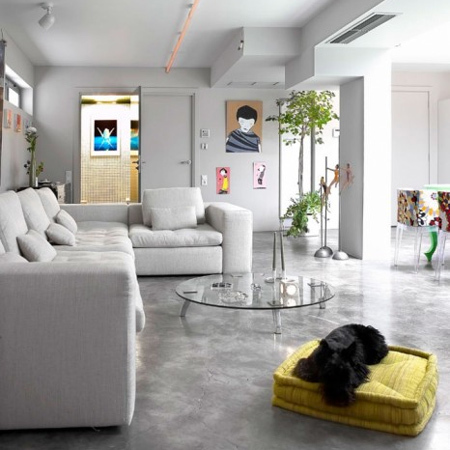 Take a look at this amazing living space that was previously a large underground parking garage. 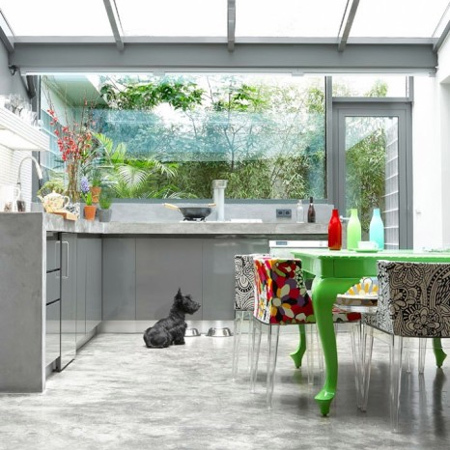 An atrium ceiling and large expanse of seamless windows provide plenty of light, while a neutral background of grey and white is splashed with colourful accessories. 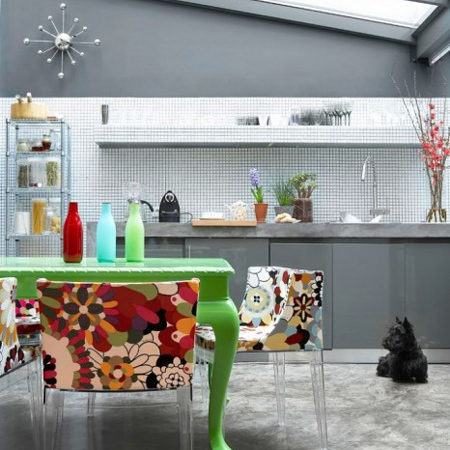 Despite the neutral shades used throughout the entire newly converted apartment, in the kitchen an old wooden table has been painted in a vibrant green lacquer and partnered with colourful chairs designed by Philippe Stark. 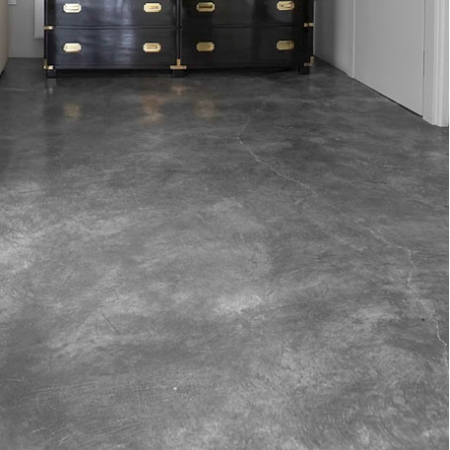 The concrete floor continues the neutral theme throughout and is given an epoxy treatment that resembles a washed granite. 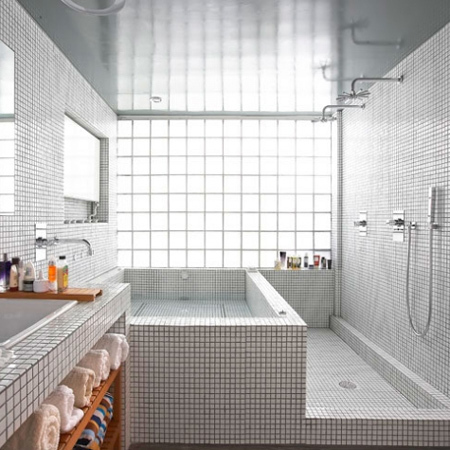 Walls of glass bricks replace the original entrance and certain walls, and flood light into the living, bathing and sleeping areas. Converting an unused garage definitely adds value to a property, and parking can be provided by covered carports, especially when living in a secure complex or estate. There is so much that you could be doing with your garage than filling it up with boxes or unused items, garden tools and such! If you don't need extra living space, converting your unused garage into a modern apartment or the kids, a flatlet for your parents, or even a man cave for hubby!